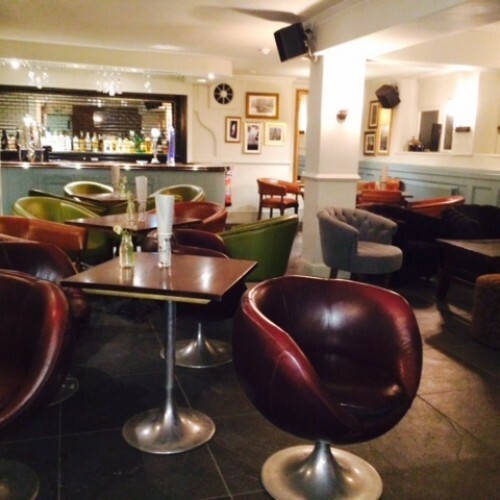 Downstairs at the Roebuck, Fawn’s Bar is the perfect space for private parties and events, whatever the occasion. You can hire Fawn’s Bar for informal dining, relaxing and socialising as well as a private dining or business meetings. Our event coordinator can do everything from helping you make your special occasion sparkle, taking the hassle out of arranging an important meeting to hiring entertainment. Do you have a social club or society evening that you want to host? Or maybe you’re just looking for somewhere private to celebrate an upcoming birthday or anniversary? Well look no further! Get in touch with us if you have an event or party you’d like to discuss. Availability: Fawn Bar is available for hire all during the week including Sundays, Bank Holidays, Christmas and New Year. Hire Costs: Costs are dependant on the event. Please contact our event coordinator for further details. There have been 0 reviews of Fawn Bar . If you would like to send Fawn Bar a booking enquiry, please fill in the form below and click 'send'. Perhaps some of the following halls within 5 miles of Fawn Bar would also be of interest?